An increase in rent on the Frigate Bay Strip has sparked a controversy with some bar owners in that area complaining that the new rates from the Frigate Bay Development Corporation were too high. The Strip, over the years, has become a popular spot for locals and visitors alike for day and night time entertainment. Owner of Buddies on the Strip John Wilkes in a social media post described the increase as “a modern day eviction” with his rent being increased from $1,100 dollars to $2,500 dollars. He indicated he has already informed his staff he would have to shut down his eleven year old business. Calling in on popular radio programme Voices on Wednesday Minister of Tourism Lindsay Grant explained that the Frigate Bay Development Corporation has been in existence for a number of decades. The whole operation of the corporation is funded by land sales and added that there is hardly any land left. “Which means the FDC either has to find other sources of revenue or will have to come to an end. We have about 30-40 persons who are employed on a monthly basis who we have to pay,” Grant said. Grant indicated that there are several of the bar owners who have already signed off on their leases because they feel that it is a proper rent but admitted there are some who don’t agree. “At least there is an avenue open for discourse and dialogue. It is not set in stone nor final it is for the bar owners to come to the table and determine what they feel is a fair rent. “We are not in the business of being exorbitant and certainly we are not in the business of trying to prevent any of the bar owners to ply their trade,” Grant said. 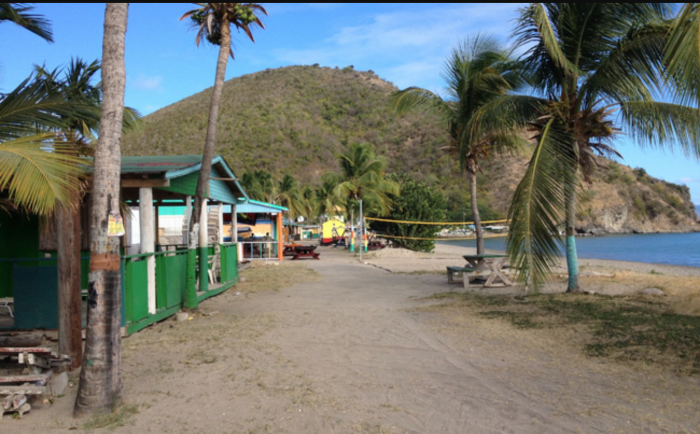 The Tourism Minister also noted that following last year’s hurricanes over $300,000 was spent to clean up the beach with the bars not having to spend a cent. He also reminded of the renovation taking place at the Strip. “We are in the process of spending over 7m to enhance the strip for the bar owners and patrons so that they can make more money. He added that yet to be done is the lighting and ensuring that the turtles still have their nesting area, we are yet to put in the area for parking, the entrance and exit round a bout, we have yet to do beach rehabilitation board walk. He noted that the increases has been done across the board in a scientific manner in that depending on the size and location that determines a rent they think is appropriate.